Trial erection of ABM's largest Portal Frame Bridge to date. 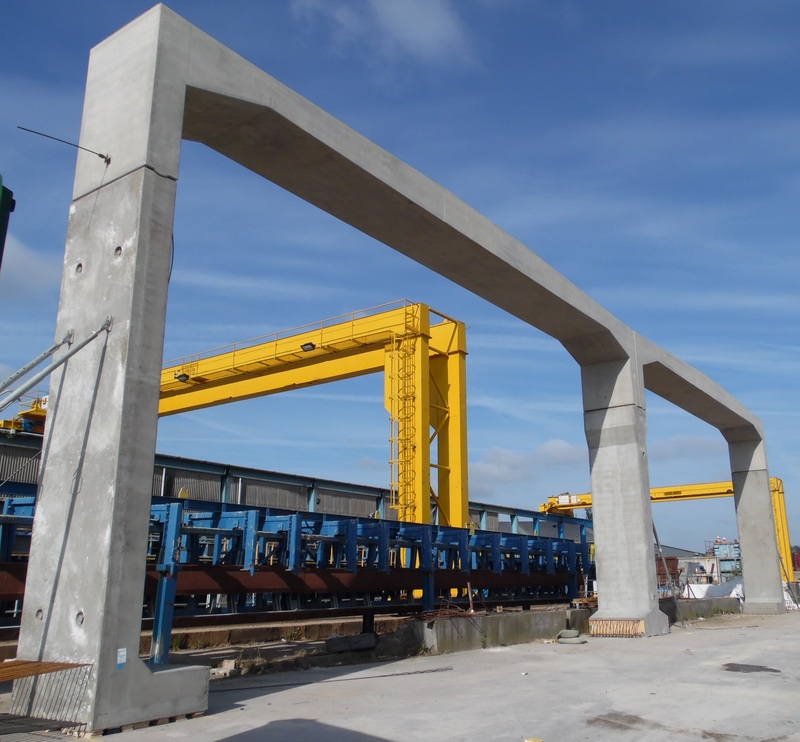 Casting of ABM’s biggest ever Portal Frame Bridge is underway with the first sections recently trial erected at our North Nottinghamshire production facility. The finish structure will be a 15m wide bridge forming a pedestrian and equestrian crossing over a new road opening up land for development of several thousand homes in the north of England. Once installed the bridge deck will be planted with low level vegetation along side the bridleway to provide a ‘Green Bridge’. The twin 16.2m spans stand over 9 metres high with each of the roof units weighing 60 tonnes. 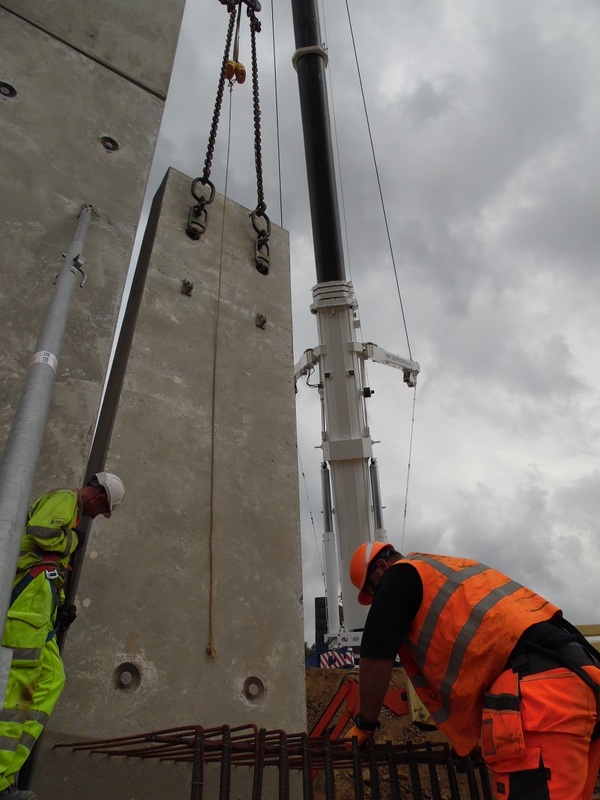 In total, over 1,600 tonnes of precast concrete will shortly be delivered to site for assembly by ABM’s specialist team. 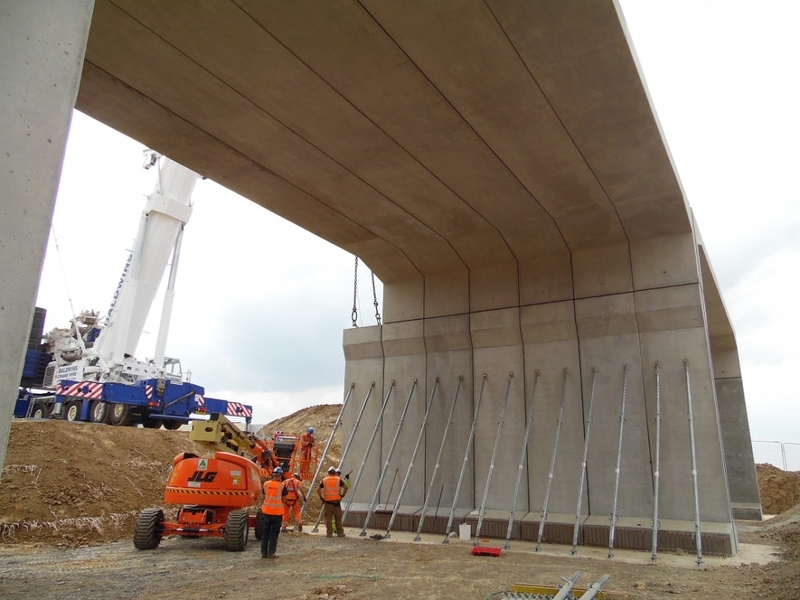 60 bespoke precast concrete units weighing over 1,600 tonnes forming soil stabilised ‘Green Bridge’.